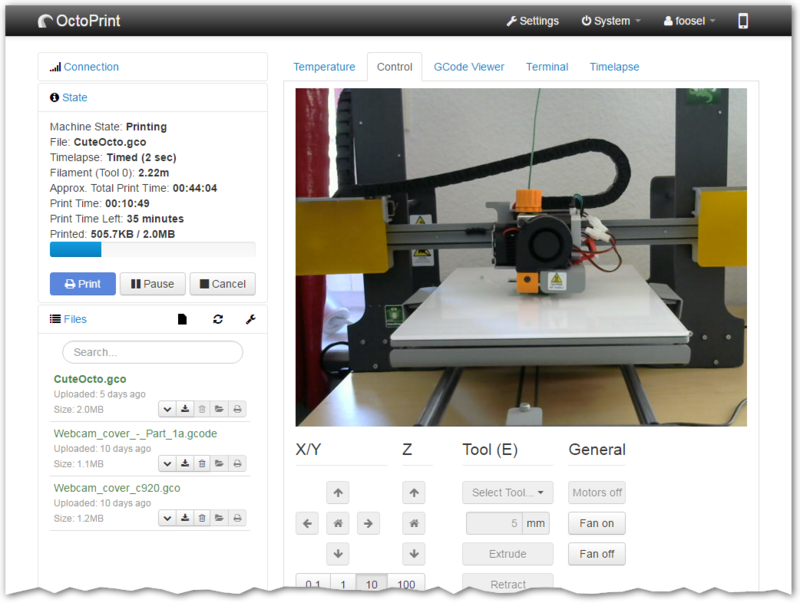 The snappy web interface for your 3D printer. 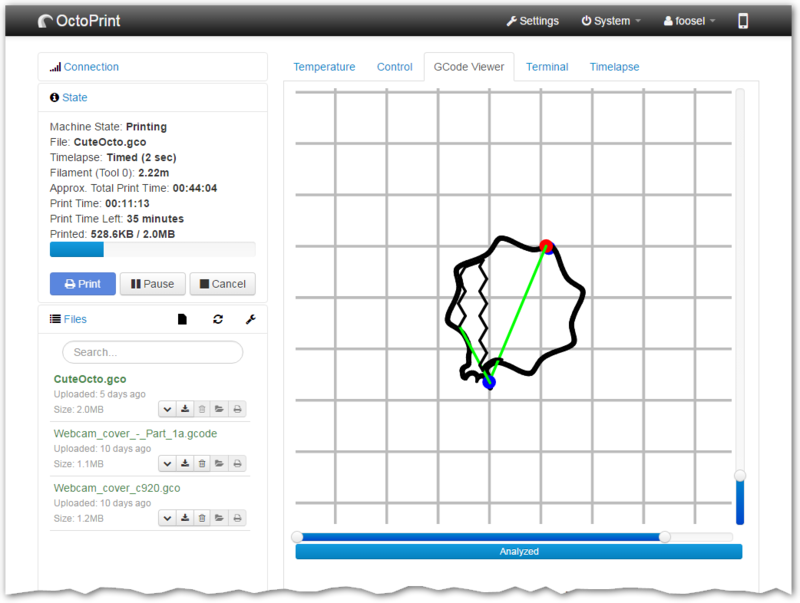 Control and monitor every aspect of your 3D printer and your printing jobs right from within your browser. 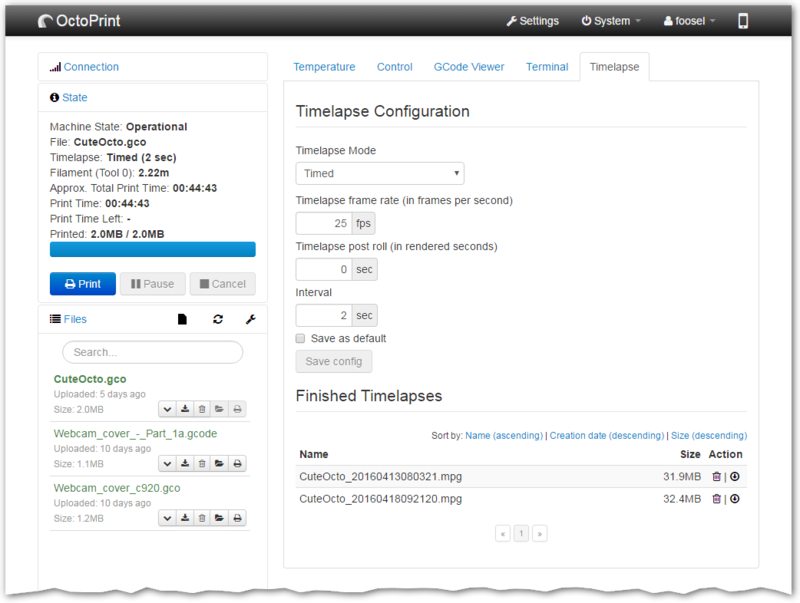 OctoPrint's powerful plugin system allows extending its functionality with awesome plugins from the community. Free and open source software released under the Affero General Public License (AGPL). Start, stop or just pause your current print job, you are in full control at any time. Have OctoPrint send you push notifications on job progress via Pushbullet or Pushover. 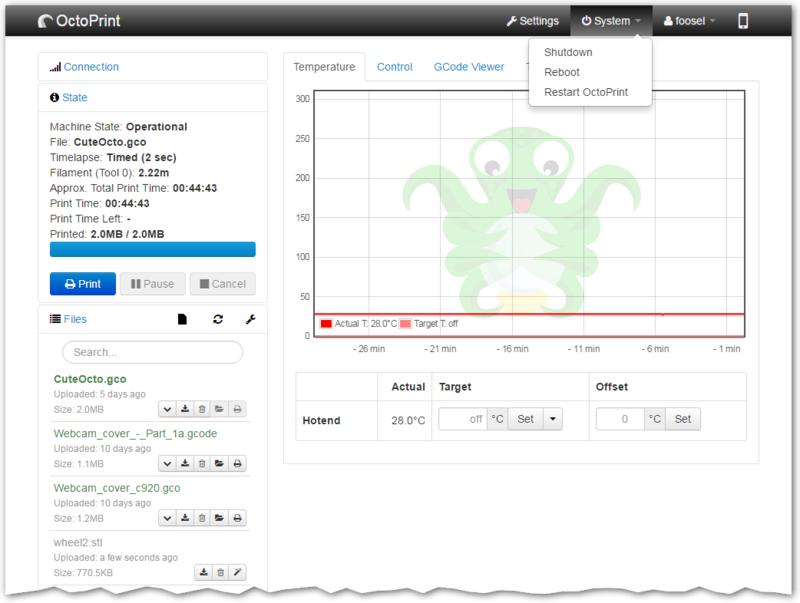 Completely replace OctoPrint’s UI on mobile devices via TouchUI. Integrate OctoPrint into your messaging tool of choice, like Telegram or Slack. Collect statistics of your printer and print jobs via the Print History or the Printer Statistics plugin. Add support for specific printers like Flashforge printers or older Makerbots or the Micro 3D printer. 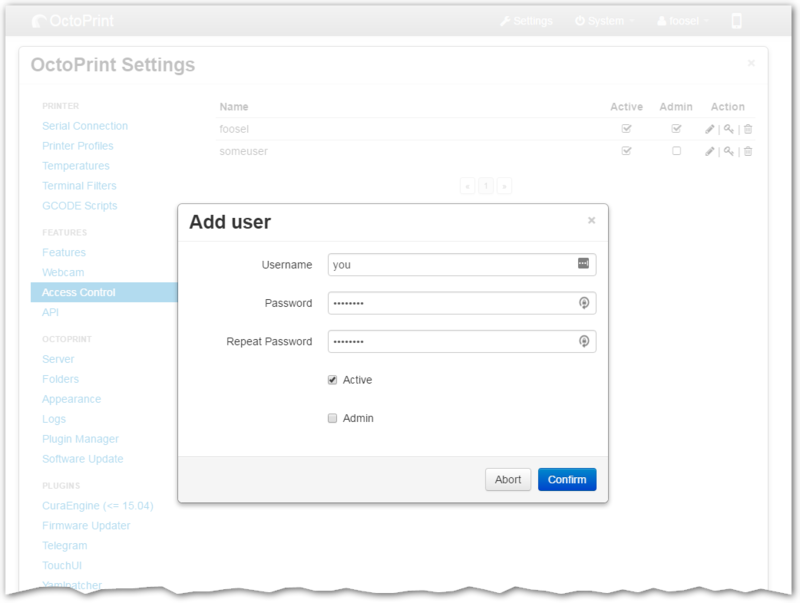 OctoPrint’s official plugin repository is integrated right within OctoPrint and installing a plugin is only a click away. And getting started on plugin development is easy! 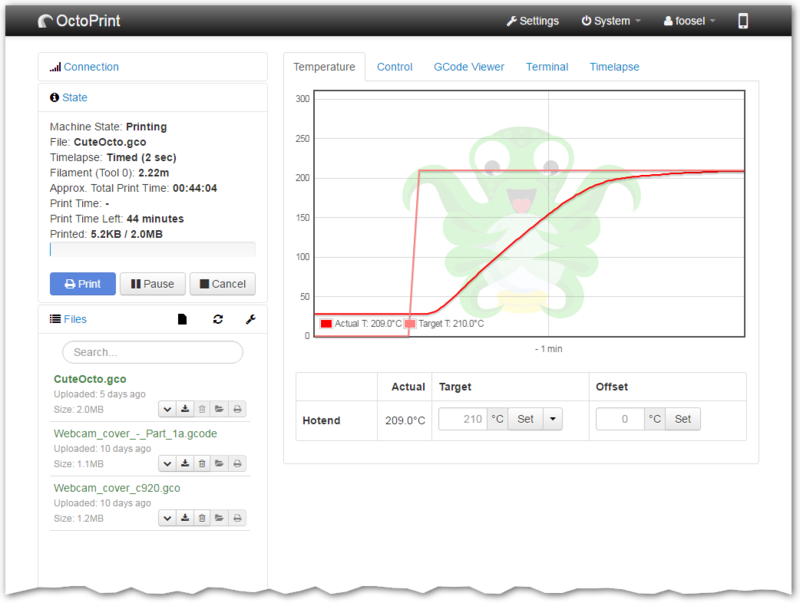 OctoPrint is Free and Open Source Software released under the GNU Affero General Public License (AGPL). 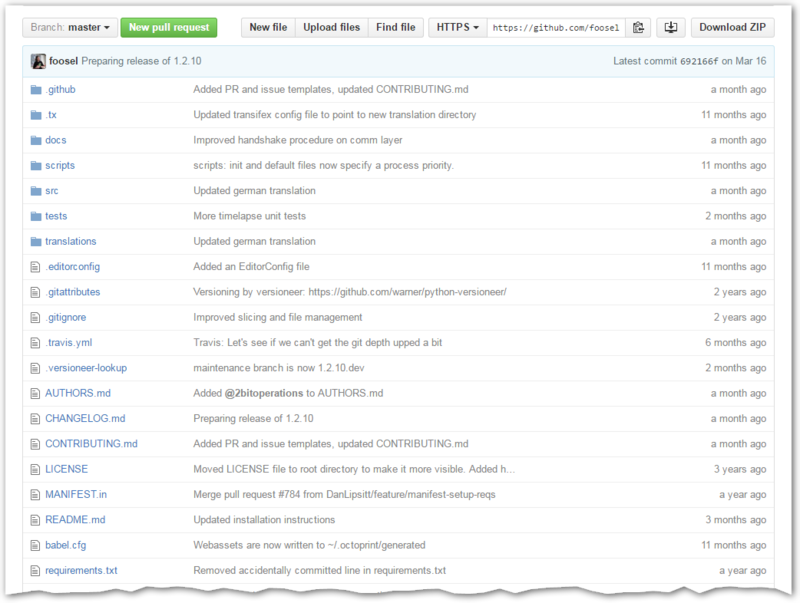 All its source code is available in its Github repository and everyone can modify it to their own needs. Create awesome timelapse recordings of your prints! Slice your STL files directly within OctoPrint. Control who can control your printer with the built-in access controls. 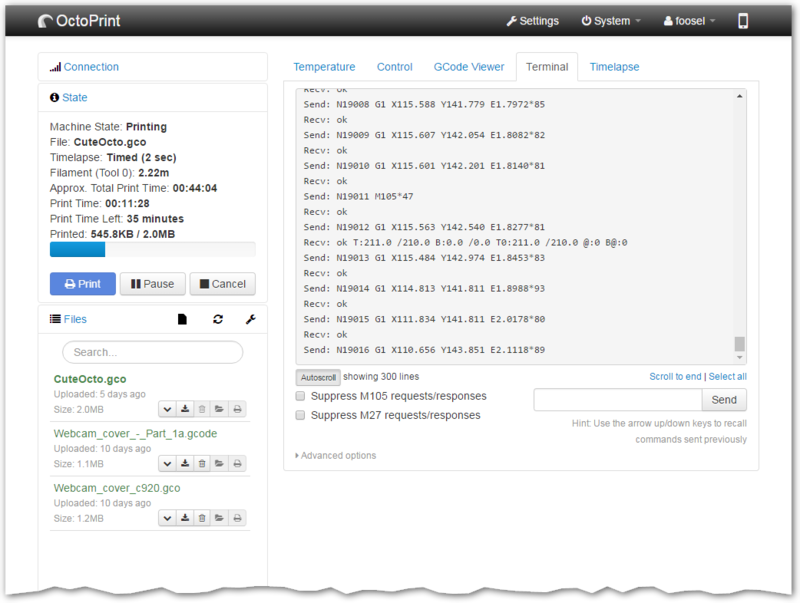 Add system commands to the menu to easily shutdown or reboot your OctoPrint server or even your printer. 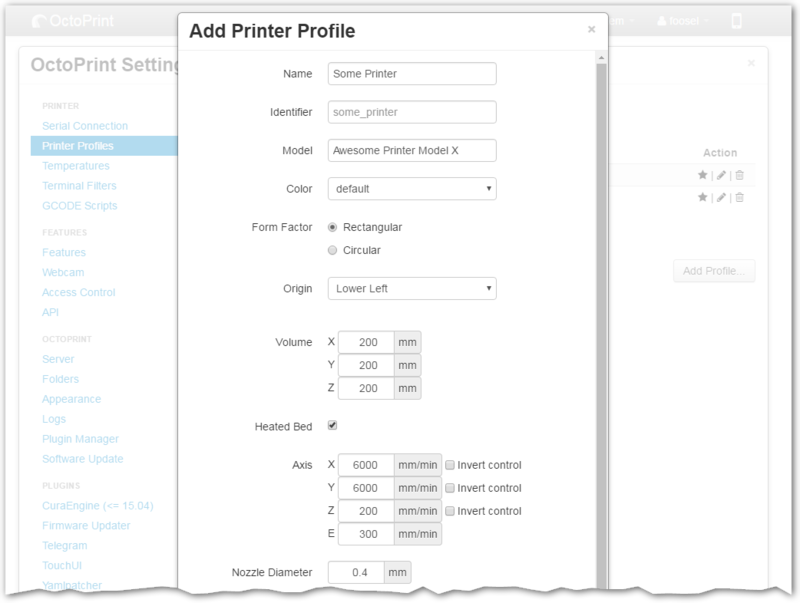 Configure event hooks to react to certain events within OctoPrint by calling external commands or sending custom GCODE to your printer.